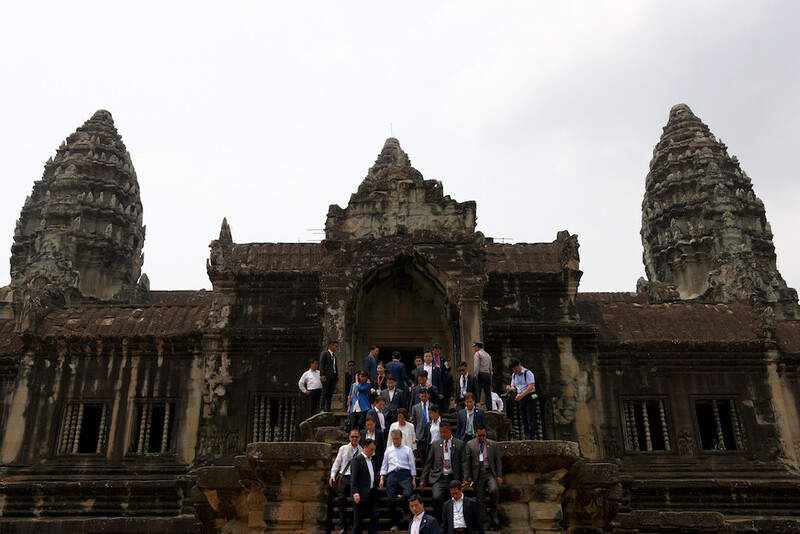 South Korean President Moon Jae-in sloughed off the trappings of high office Saturday and mingled with thousands of other tourists at Cambodia's famed Angkor Wat. Millions visit each year, making the ruins in Siem Reap province Cambodia's most popular tourist destination. Im Sokrithy, from the state agency which manages Angkor, guided Moon along with an entourage and said the leader was curious about the complex's history. “He asked where the stones were taken from and the process of building the temples," he told reporters. South Korea is one of the country's biggest investors and source of tourists, and Moon's presence also delighted South Korean travellers, who clapped and shook his hand.